Humanitarian aid has been a widely-used tool of American diplomacy for decades. There has been little consideration, though, of how massive inflows of aid shape the governments receiving aid and the way they treat the displaced people they are responsible for protecting. 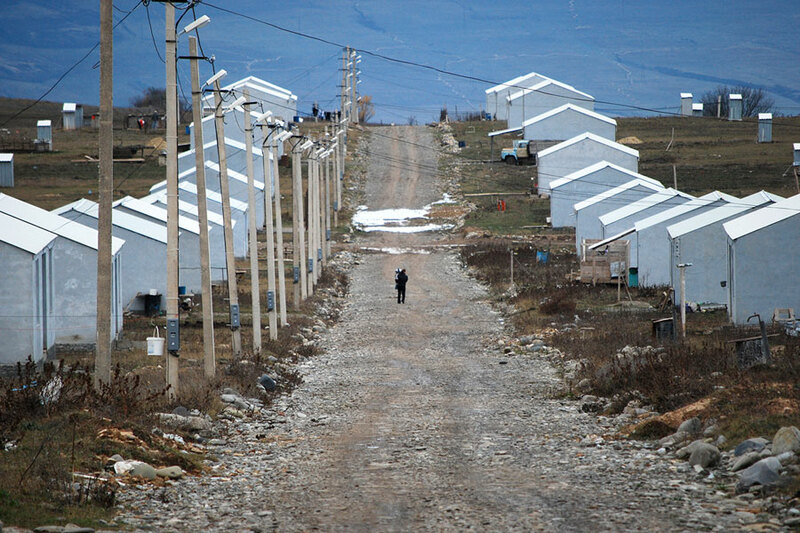 Focusing on the case of the Republic of Georgia, which received over $1 billion in the year following the Russian invasion of 2008, I trace reports of diabolic activity in the camp to show how the influx of aid fuelled the activity of the secret police and a turn towards authoritarian rule. Elizabeth Cullen Dunn is Associate Professor of Geography and International Studies. Her work focuses on refugees, internally displaced people, and international humanitarian aid. Her new book, No Path Home: Humanitarian Camps and the Grief of Displacement was published in January by Cornell University Press.